Abbotsford House located on Bank Street across from Landsdown Park was built in 1872. Or was it? November 2014: GlebeSite has an update. 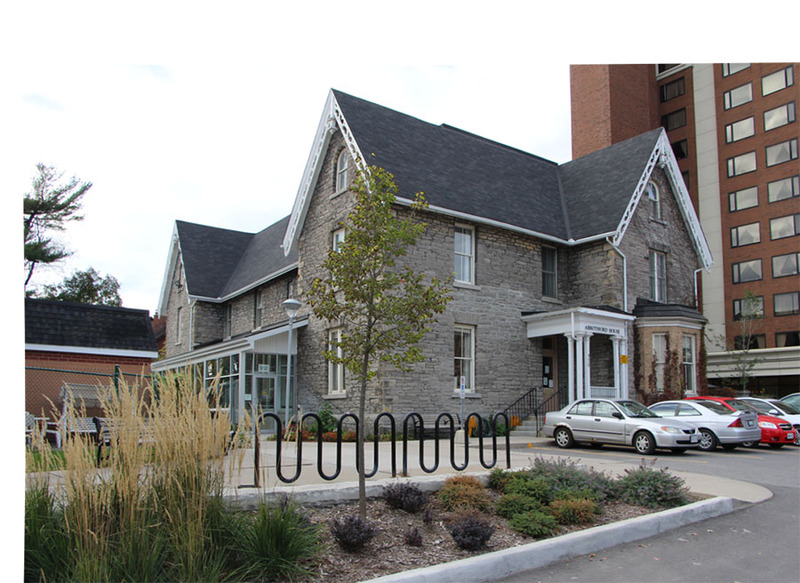 1867 Alexander Mutchmor builds Abbotsford House, 954 Bank Street, the longest standing building in the Glebe. *Some sources date this building as 1872. One of the first building to be erected in 1869 along Bank Street in the Glebe was James Meakin’s Gate Hotel north west of the new five arch Patterson’s Creek Bridge, now a dry embankment. The next hotel was the Turf Hotel built in 1870 by Ralph Mutchmor, near Fifth Avenue. About the same time Alexander Mutchmor built his house “Abbotsford”, named after the birthplace of Sir Walter Scott, the British author of romantic literature of the time, south of Centre Street (Holmwood Avenue). In 1878 upon moving to Kansas City Mutchmor sold his house to Ottawa Mayor C.H.MacKintosh. In 1889 MacKintosh sold Abbotsford to the Protestant Home for the Aged. Negotiations commenced for the purchase of the property located at 950 Bank Street, which occurred in 1889. 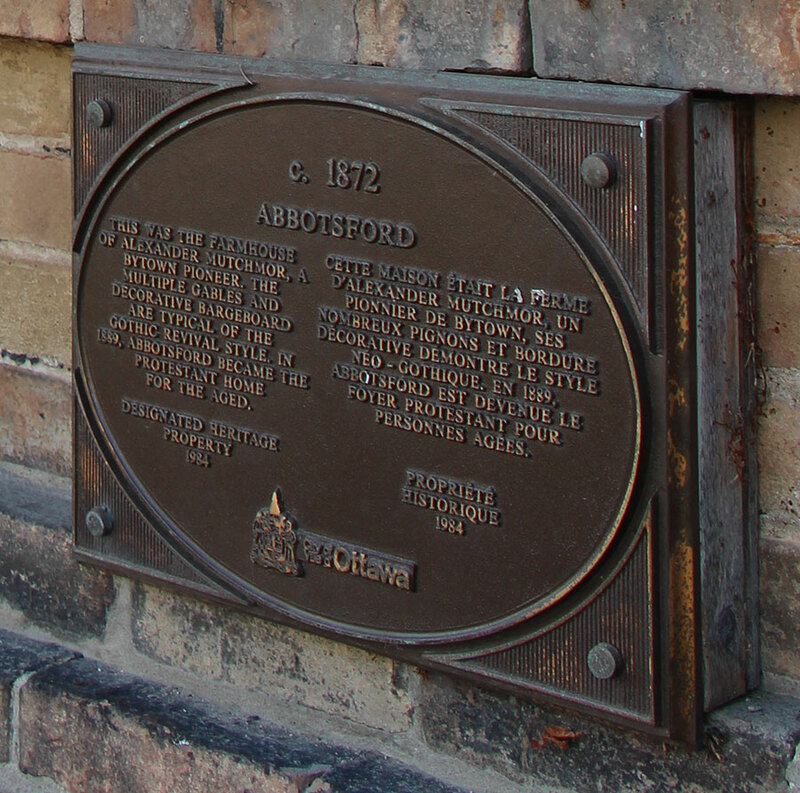 The name of the Home remained “The Protestant Home for the Aged” until 1967, when the name was changed to Abbotsford Haven. However, the Home continued as a residence for elderly men. 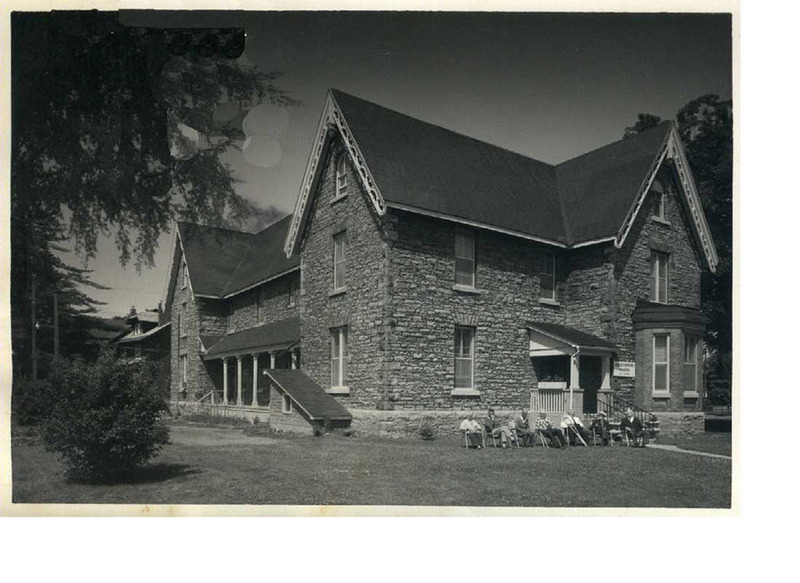 In 1972, a new corporation was created called The Glebe Centre Incorporated through an amalgamation of Glebe Manor and Abbotsford Haven. 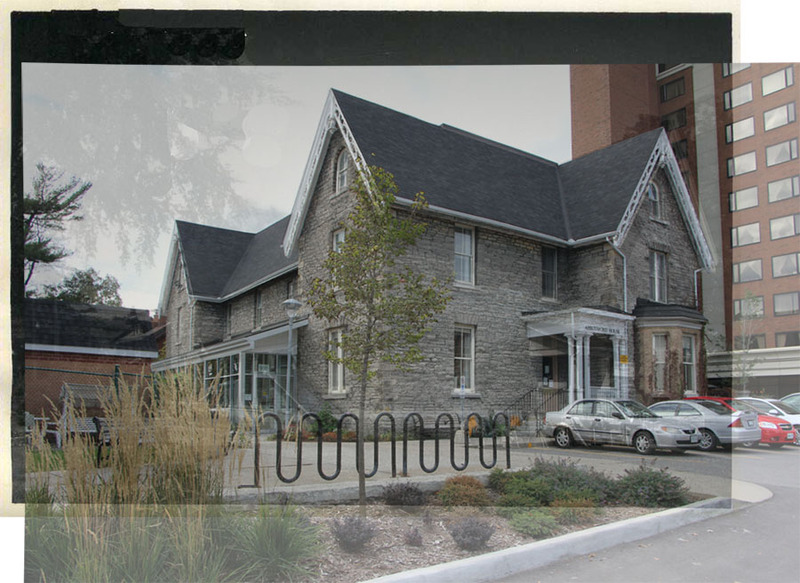 In 1974 a new 12 storey, 195 bed home was opened on the land adjacent to the old home. The Home was now open to both male and female residents, with the majority being female. In 1975 Abbotsford Haven officially became Abbotsford House, and began its new role as an elderly persons centre. This house was constructed for Alexander Mutchmor in 1867 (or possibly 1872). 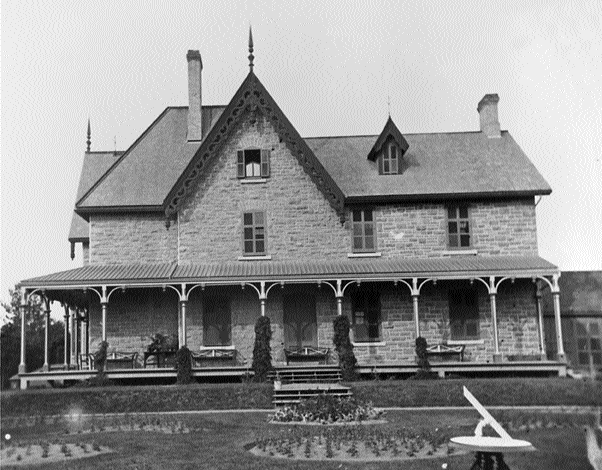 The depression of the late 1870s forced Mutchmor to sell his home to Ottawa Mayor C.H. Mackintosh in 1879. Mackintosh was a somewhat controversial figure, as he was editor and publisher of The Ottawa Evening Citizen at the same time that he was mayor. Abbotsford House was renovated in 1928 with the addition of a wing to make room for more residents. In 1974 a new 12 storey, 195 bed home was opened on the land adjacent to the old home. The Home was now open to both male and female residents, with the majority being female. In 1975 Abbotsford Haven officially became Abbotsford House, and began its new role as an elderly persons centre. It remains an active Seniors Leisure and Resource Centre. Three original marble fireplace mantels are still adorning the parlor and dining room. The ceiling in the front entrance is edged with decorative molded plaster. The house was officially recognized as a Designated Heritage Property in 1984. 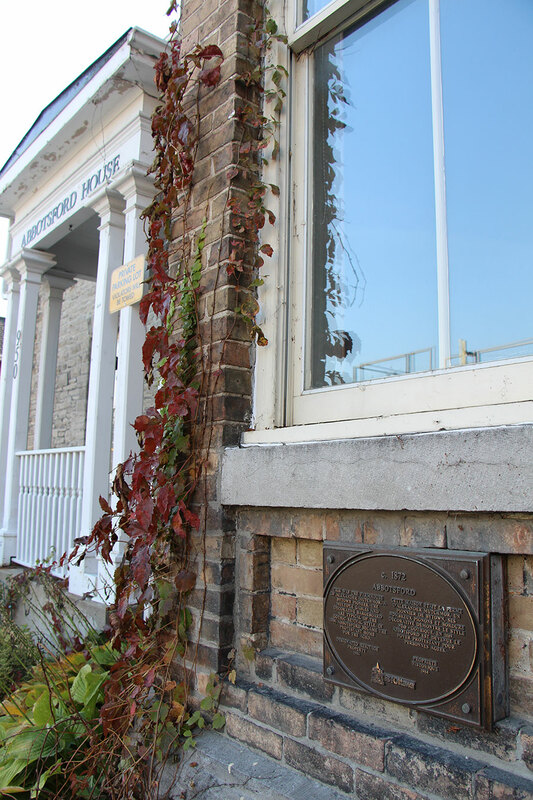 The plaque is located on the outside of the building under the bay window of the dining room. Built in 1873 by Mr. John Mutchmor, businessman and land speculator. See the November 2014 update. From Patricia: The house featured in the top photograph is not Abbotsford House. Abbotsford House at The Glebe Centre is very simular but not the same structure. 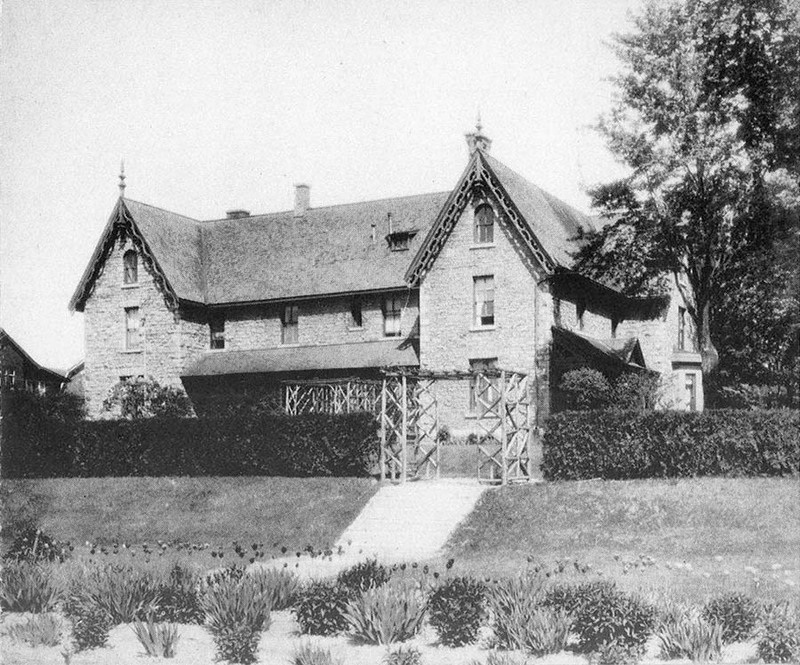 Abbotsford House built by Alexander Mutchmor in 1872 is located directly across from Lansdowne Park at 950 Bank Street. I have several old photographs of the building that I would gladly share. Response: The photograph from the LAC photo collections says Mr. Mutchmor’s house…and as far as I know this was his home before being turned over as the Prostestant Home for the Aged in the late 1880s. Although it’s hard to reconcile with the current structure, the following picture, from LAC and captioned “Mr. Mutchmor’s house” is apparently taken from the south and shows the original building. The house was renovated in 1928 when they added a wing. Original photographer and date unknown. If you have an old photo of Abbotsford House and would like to share it, please send an email to the contact address.